The productivity and service-life of a molded part has a direct correlation to the quality of the tools employed. 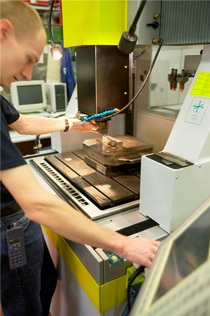 At the Belgian facility, Mitsubishi Chemical Advanced Materials provides in-house tool development and manufacture to guarantee optimal mold design and long term tool performance. Working to our own mold standards, the company’s skilled engineers use state of the art mold making equipment to develop a range of high-quality tools, including multi-cavity molds and hot-runner systems, guaranteeing long life and at the same time reduced time-to-market. 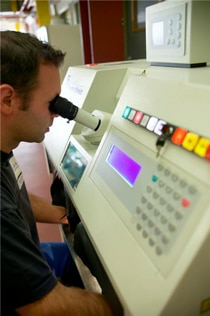 Furthermore fast repair, maintenance and modification of the tools is provided on-site at both Mitsubishi Chemical Advanced Material operations in Belgium and Hungary. This secures the ongoing availability of the molds for production.